San Pellegrino Sparkling Natural Mineral Water is sourced north of Milan from an aquifer 1,300 feet below the surface of Italian Alps. The mineral and trace elements create its remarkably distinctive flavor. 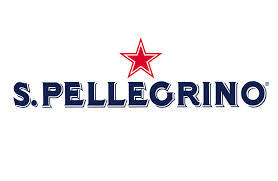 S.Pellegrino's middle-size bubbles, persistent carbonation and rich minerality make it one of the most renowned mineral waters in the world.